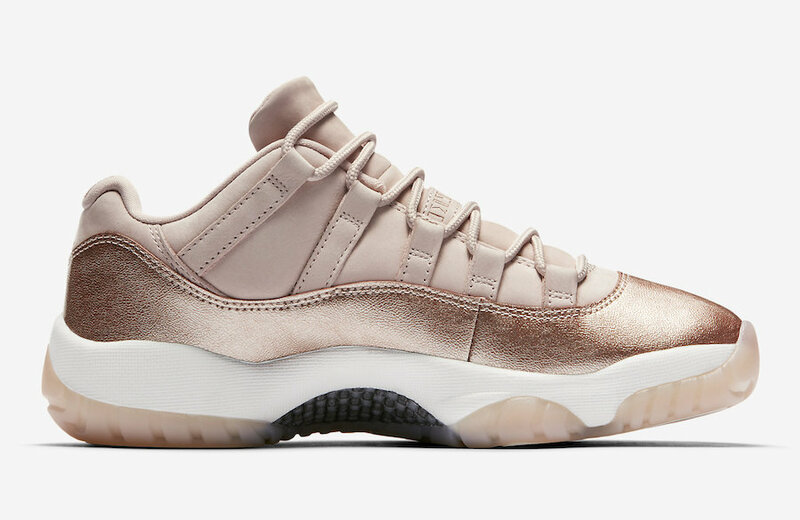 Every season when Air Jordan 11 Lows come around we are reminded that summer is approaching. 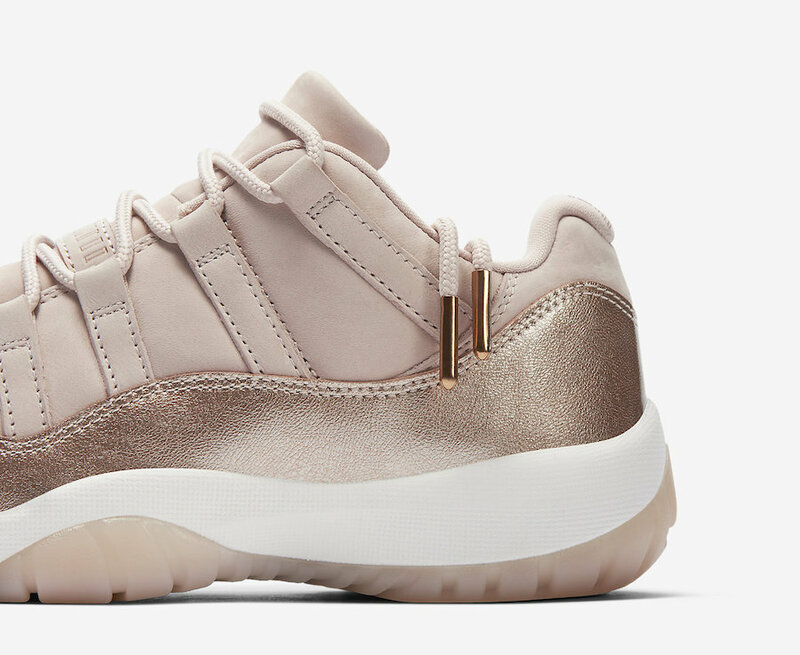 The Air Jordan 11 “Rose Gold” will kick off the summer season as a part of the Jordan Brand Women’s Summer 2018 Collection. 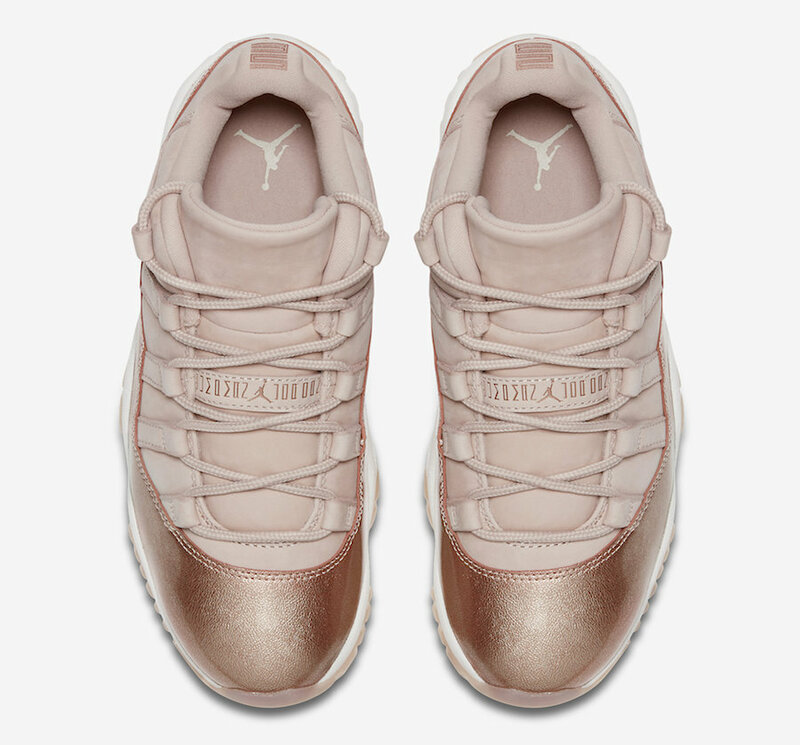 The all new colorway is dressed in a Rose Gold color scheme. 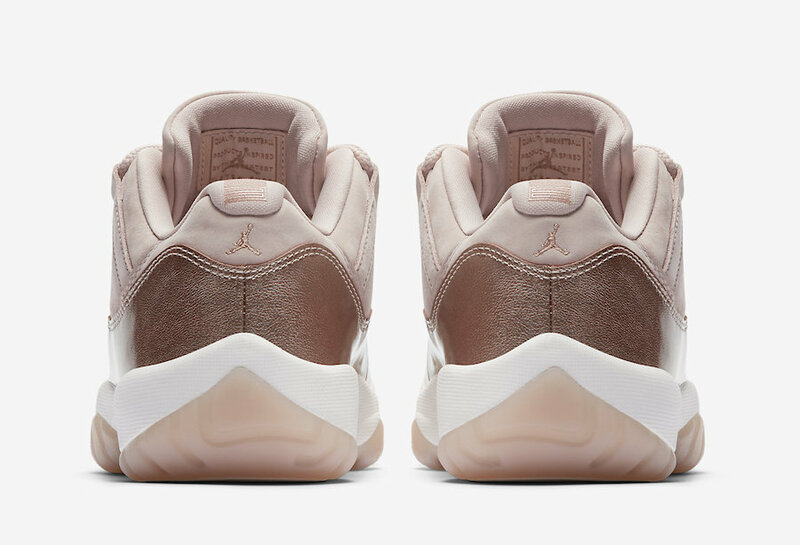 The Rose Gold hue covers the upper while a metallic red bronze textured leather overlay replaces the traditional patent leather patent overlay. 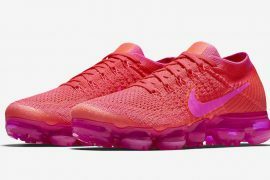 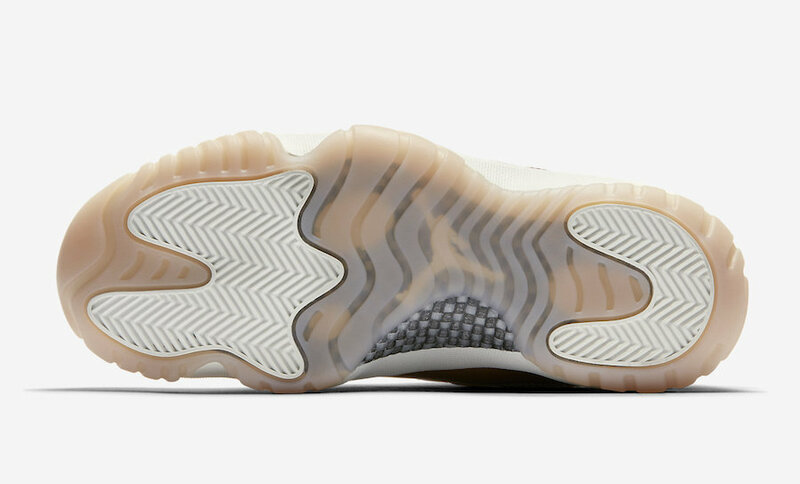 A white midsole and a pink-tinted translucent outsole complete the new summer design. 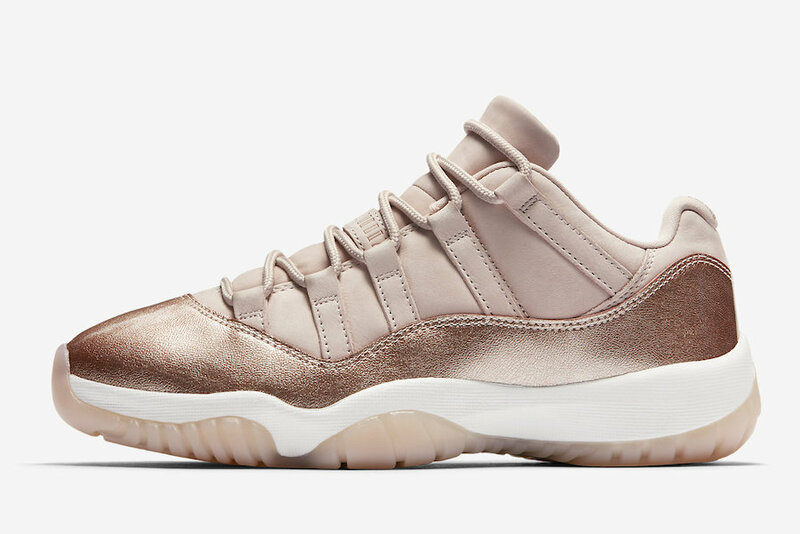 If you’re looking to add a summer pickup to your sole collection pick up the Air Jordan 11 Low “Rose Gold” on April 13th. 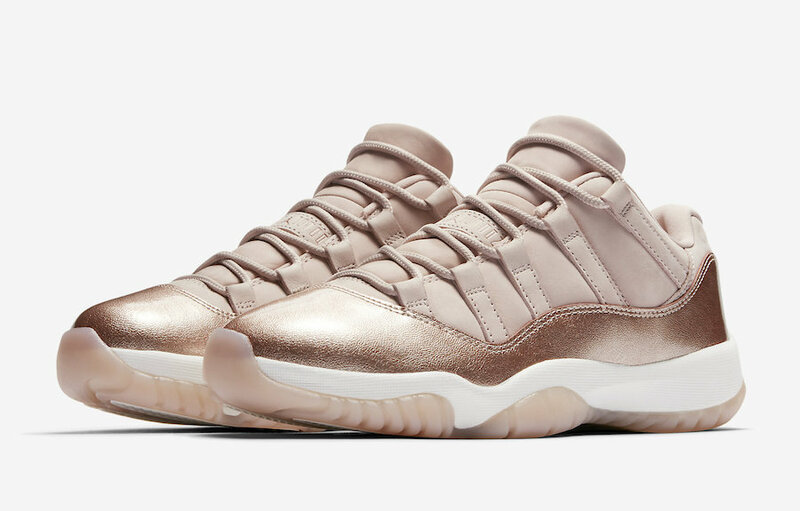 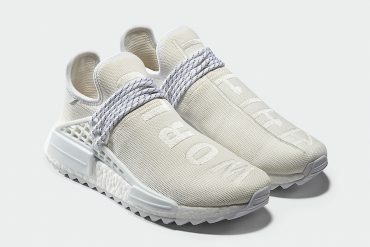 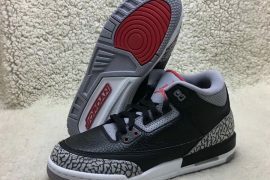 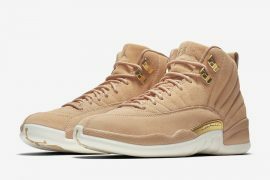 These will be available in extended women’s sizing at select Jordan Brand retailers for $175 USD.